The Christmas Blogging Challenge prompt says to post a picture of Christmas Decor - and whilst looking through my photos, I knew I had to tell you the story behind this one. 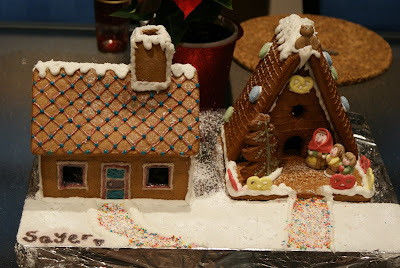 You see, last year Katrina, Jesse and I made a Gingerbread town. We spent hours piecing them together, decorating, making snow lined footpaths - we just forget about how we were going to store these houses. Oops.. It wasn't until we stood back from our houses (or House and Church) that we realised our problem. How were we going to protect our creations from the inevitable bugs and flies that come with an Australian Summer Christmas? First, we went searching for a big plastic crate. Problem Number One: the crates we needed to fit the houses and board into (think snowglobe style) were far too big to put anywhere other than smack bang in the middle of the table - and we needed that for Christmas. There was a space on the cabinet where they would fit perfectly. Problem Two: still not going to protect our gingerbread house from bugs. Mum wasn't home and Dad was busy - so we decided we had to find a solution. A-ha moment: glad wrap. We wound the glad wrap around the opening of the cupboard, securing it with tape and making sure there wasn't any way for bugs to get in. We swore it was only a temporary situation and we'd find a solution tomorrow. 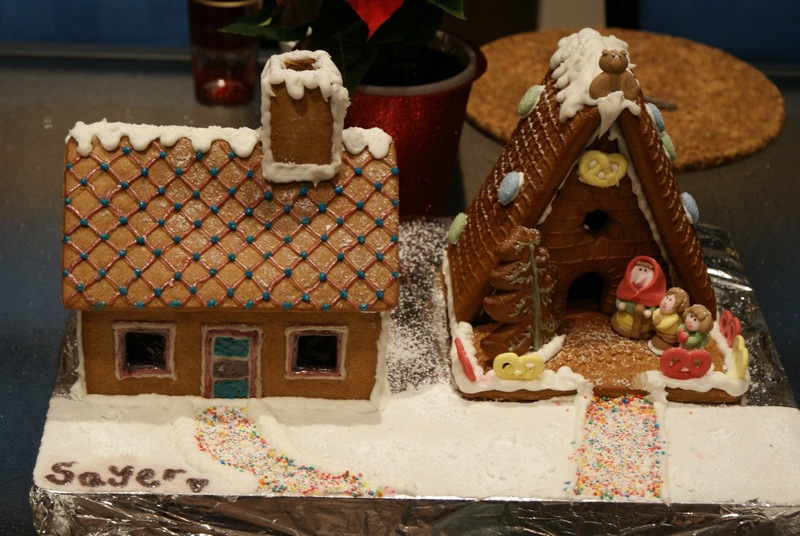 So tell me - have you ever decorated a gingerbread house? I'd love to see a picture! Haha nooo, they were there for I think two or so days before they were devoured on Christmas night!